After a hard fought 3-2 victory over Ahmedabad Defenders, Carson Clark-led Black Hawks Hyderabad will be looking to continue from where they left in the last match as they meet Chennai Spartans. 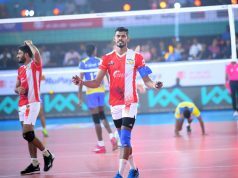 Chennai in their first fixture of the league went down to Calicut Heroes 1-4 on Day 2 of RuPay Pro Volleyball League. 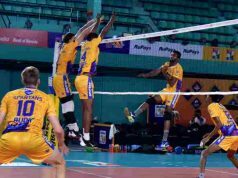 Chennai, who were far from their best against Calicut, will have to look at plugging the gaps which were evident in their opening fixture. The team will look upto GS Akhin, Naveen Raja Jacob, Vibin George, Shelton Moses and the foreign imports Ruslans Sorokins and Rudy Verhoeff when they take on Hyderabad on Thursday. 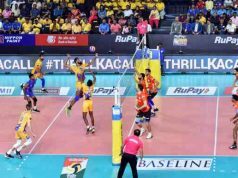 The league, which is an initiative of Baseline Ventures and Volleyball Federation of India, began on February 2, 2019. 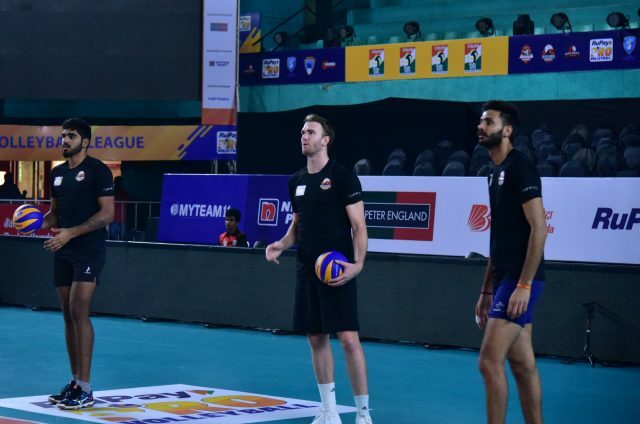 Hyderabad under Carson Clark will look to build on their performance against Ahmedabad Defenders as the young team showed great serving and attacking ability. Skipper Carson Clark believes that the whole team is really pumped up and looking forward to the match against Chennai. “We had a good start against Ahmedabad, we have to keep the momentum going and take one match at a time,” said Clark. The live broadcast of the match will start on SONY SIX and SONY TEN 3 and live streaming will be on SONY LIV from 6:50 PM IST on Feb 7th 2019.